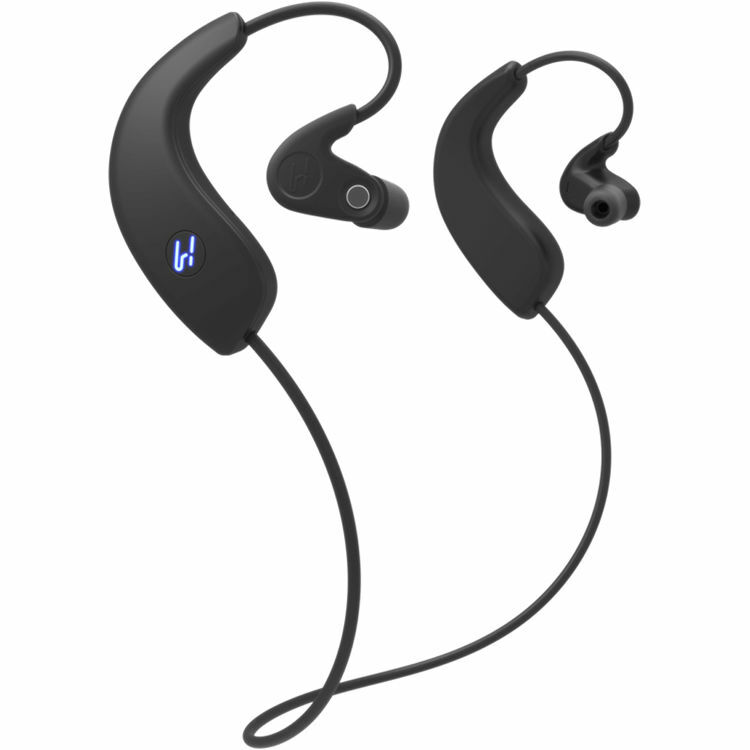 More than just a pair of wireless earbuds, the Verse Wireless In-Ear Binaural 3D Audio Recording Headphones from Hooke Audio can also record binaural 3D audio. Whether you are recording audio by itself or as part of a video, both 3D audio mics can capture lifelike sound wirelessly or via the included recording cable. The cable allows for compatibility with devices such as GoPro cameras, DSLRs, and more. As a set of earbuds, the Verse are designed to insert into your ears for a snug fit thanks to 6 sets of included eartips, while the bulk of the electronics are meant to rest comfortably behind your ear. You get up to 10 hours of continuous playback and you can pair them with any Bluetooth-compatible device, such as a smartphone or tablet. When connected to a smartphone, you can use them for listening to music or taking hands-free calls. The 3D audio microphone built into each earbud lets you capture audio as you hear it. Each microphone has a 360° pickup pattern that captures each sound source's location in relation to you. When played back, the technology is meant to make you feel like you're really there in that moment. Even better, you can enjoy this experience on any set of headphones or speakers. No special gear is required. The microphones feature noise isolating balanced drivers and a proprietary codec to help provide clean audio when recording wirelessly via the Hooke Android or iOS 3D audio app. The proprietary codec is designed to keep latency to an incredibly low .0042 ms.
For other devices, such as a GoPro, DSLR, or audio recorder, you can add 3D audio to your recordings via the included 3D audio cable that has an inline analog to digital audio converter. The rechargeable Verse earbuds can last for up to 10 hours of continuous playback, or up to 9 hours of continuous 3D audio recording. Box Dimensions (LxWxH) 10.6 x 7.8 x 3.3"
Verse Wireless In-Ear Binaural 3D Audio Recording Headphones (Black) is rated 5.0 out of 5 by 1. Rated 5 out of 5 by Jim from GREAT product at an amazing size. Guys, THIS IS NOT A DRILL. This thing is the real deal. 3D audio that fits in your pocket. Ive had mine for a while now and its epic. I can now actually adjust the audio levels on my footage from concerts! It doesnt sound like a garbage disposal anymore! My buddy who shoots a lot of VR stuff borrows my Verse all the time to capture sound in space. Its robust, it works, and the app is great. Buy it now, thank me later.